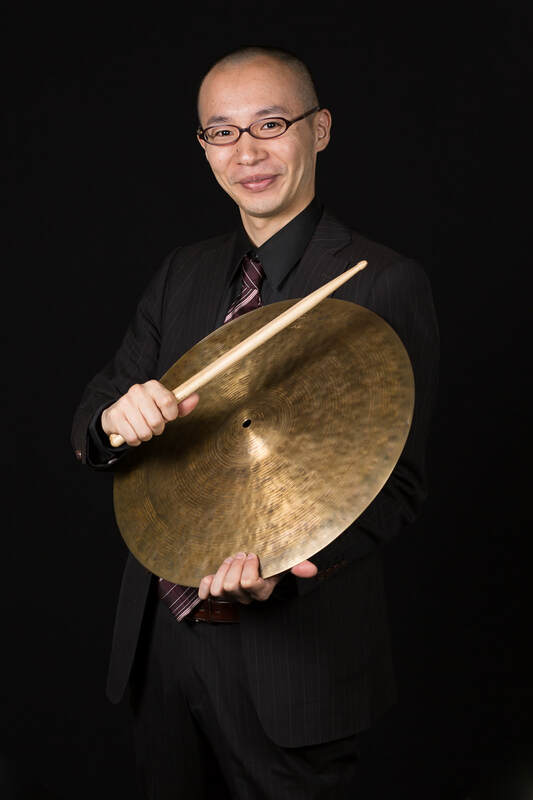 ​Takao Heisho is a New York City-based drummer/percussionist originally hailing from Shizuoka, Japan. He is also an accomplished composer and arranger who performs and writes in the realms of Jazz and many other world music forms as well. His personal penchant for Afro-Cuban and Brazilian music has led him to pursue both art forms in great depth; studying and performing with some of the finest musicians New York has to offer. While growing up in his native Japan, Takao began playing drum set at the age of thirteen. Upon graduating high school, he left his hometown and moved to Tokyo in hopes of furthering his education. He attended Meiji University, pursuing a Bachelor’s degree in economics while continuing to play drums in the college big band. After completing his undergraduate studies, he decided to move to New York after being accepted into the prestigious Manhattan School of Music. He would eventually go on to earn two degrees from MSM, taking full advantage of the opportunities his new environment had to offer. He has studied drums and percussion with a wide variety of teachers including John Riley, Rogerio Boccato, Wilson “Chembo” Corniel, Bill Stewart and Chris Lamb. In addition, Takao has studied jazz piano with Mark Soskin, an endeavor that has proven fruitful in his composition work for small and large ensembles. For the past eight years he has been the conga player for the multi-Grammynominated Manhattan School of Music Afro-Cuban Jazz Orchestra under the direction of Bobby Sanabria. His tenure with the group has allowed him grow, not only as a performer, as a writer as well, contributing his own compositions and arrangements to be performed by the esteemed ensemble. He appears on MSM ACJO’s latest recording, Que Viva Harlem, an acclaimed tribute to New York City’s early twentieth-century multi-cultural renaissance, which Downbeat Magazine named one of the “Best Albums of 2014”, and as both percussionist and arranger on the Grammy-nominated CD, West Side Story Reimagined, with Bobby Sanabria’s Multiverse Big Band in celebration of Maestro Leonard Bernstein’s centennial. Takao is currently an active performer in NYC and has worked with a variety of artists since his arrival to the area. He has shared the stage with Wycliffe Gordon, Jon Faddis, Tim Hagans, Candido Camero, Larry Harlow, and Chuchito Valdez just to name a few. He has played at top ranking venues including Dizzy’s Club Coca-Cola, The Apollo Theater, The Kennedy Center, Lincoln Center Out of Doors, SOB’s, 55 Bar and the Nuyorican Poets Café. His brilliant compositions and arrangements can be heard around New York City, performed by various ensembles such as The Bronx Conexion Latin Jazz Big Band, The New School Afro-Cuban Jazz Orchestra, Nate Sparks Big Band and Chembo Corniel Quintet. He also works as an accompanist at 92nd Street Y Harkness Dance Center in New York and The Redeemed Christian Church of God Wealthy Place International in Brooklyn and teaches percussion and piano at the Westerhoff School of Music & Art in Metuchen, New Jersey. Takao holds both a Bachelor’s and Master’s degree in Jazz Studies from Manhattan School of Music.